Here's an unusual one! I am currently recommissioning my SE5a after a period standing, during which time a family of rabbits took up residence under the car and ate the wiring for the LH overdrive! I can't tell which wires connected to what. I presume one of the four connected to the overdrive solenoid, but I have no idea which one. Is anyone able to tell me what colours the wires coming out of the main loom are supposed to be and their function and what colours the wires going to the inhibitor switch are supposed to be? Then which wires connect to which? Does the inhibitor switch also activate the reversing lights? 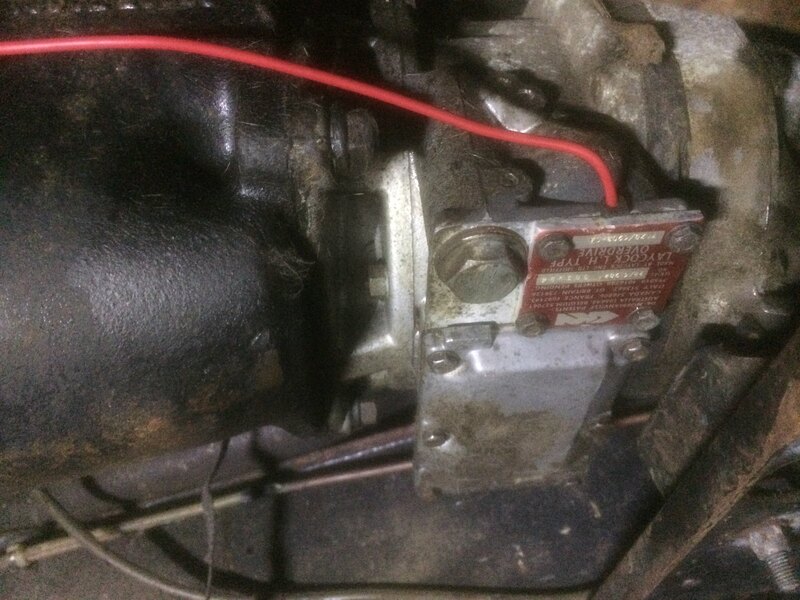 Somehow I need to get a connection back onto the solenoid..... is it possible to remove the solenoid (without losing all the oil in the overdrive unit) and then solder a new wire on? what do I need to watch out for in removing the solenoid? I'll answer the easy one first - yes, the inhibitor switch also does the reverse lights . Yellow/purple from loom > overdrive part of inhibitor switch > overdrive solenoid (via yellow/green from the switch). As for the solenoid wire that appears to be missing, pictures suggest the solenoid is under its own cover but no idea how much oil may (or may not) come out with it.. The solenoid appears to be readily available new (fitted to MGB) if there isn't enough left to solder a new wire to. Progress made here. 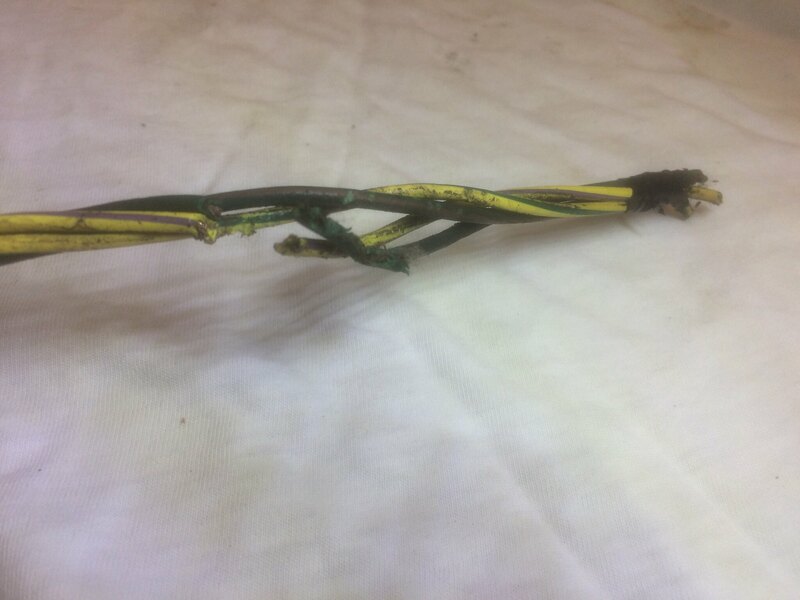 Stripped out the inhibit switch and wiring - the rabbits have enjoyed munching this! Removed the overdrive solenoid and managed to solder a new wire onto the stub of original wire that was still within the solenoid body. 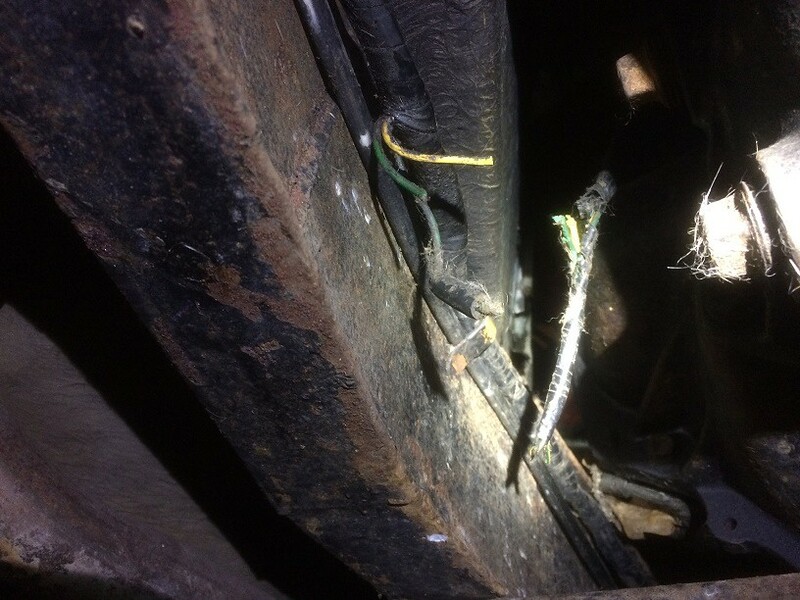 Previously the rabbits had cropped the overdrive wire off absolutely flush with the gearbox - all you could see was the little rubber plug and a bristly end, so this ranks as a result. Very little oil came out (a few drips from the galleries) and the solenoid does not sit in oil - the o-rings keep the oil above the solenoid windings - so hopefully the repaired wire won't leak. Nice work! I trust you used some heatshrink sleeving (or equivalent) on the soldering repair as well? Yep, managed to get a short length of heatshrink over the whole repair and contain the repair within the gearbox body. Hopefully that will mean that the rubber grommet will still do it's job as it's sealing on the wire's insulation as it was designed to.